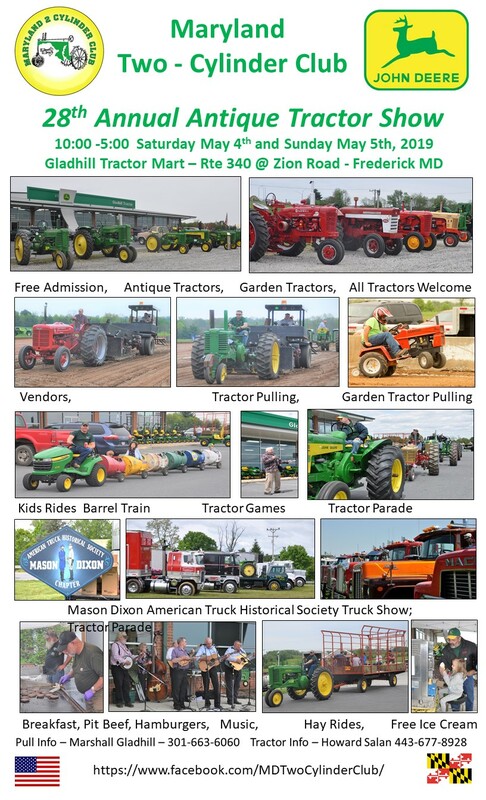 Admission is free, Activities include garden tractor pulling, antique tractor pulling, hayrides, tractor games. Vendors onsite. Truck show sunday May 5th. Please visit our Facebook page for more information www.facebook.com/MDTwoCylinderClub.